Today was what I would characterize as a slow day for new comics. There were only two titles in my pull list this week (Invincible Iron Man and The Walking Dead), and I picked up another I was on the fence about (Daredevil) and one I didn’t know was even coming out (War of the Green Lanterns: Aftermath). Four comics just isn’t enough to satisfy me for a week, so I had to find something else. Unfortunately, most of my options were Fear Itself spin-offs and DC titles that are getting cancelled next month. 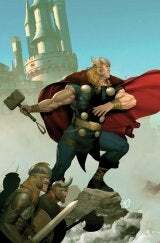 There was one other comic that caught my eye though- Thor: Heaven & Earth, written by Paul Jenkins and illustrated by Ariel Olivetti. Thor is usually hit or miss for me, but I’ve been a fan of Jenkins’ stuff in the past (mostly the Spider-Man stuff), and Olivetti’s art is always gorgeous. But being a Marvel mini-series, it was surely priced at $4, right? Wrong. For some reason, Marvel decided to price this one at $3. Same story length, same paper quality, same everything, but Marvel dropped the price a buck from their usual mini-series pricing. So I gave a book I had absolutely no intention of buying a shot. And you know what? It was terrible. Like really bad. A total stinker. There was practically no plot, certainly no set-up for the second issue, and since it was set well before the age of superheroes in the Marvel U, all the character designs were a little off. Not good at all. But since Marvel priced this mini-series lower, they split three dollars with the local comic shop instead of zero. And if it had been good, and I had bought all four issues, they would have split twelve instead of zero. Hopefully Marvel is finally taking after DC and drawing the line at $2.99. Comic Con is fast approaching, and news is already starting to leak out a bit early. 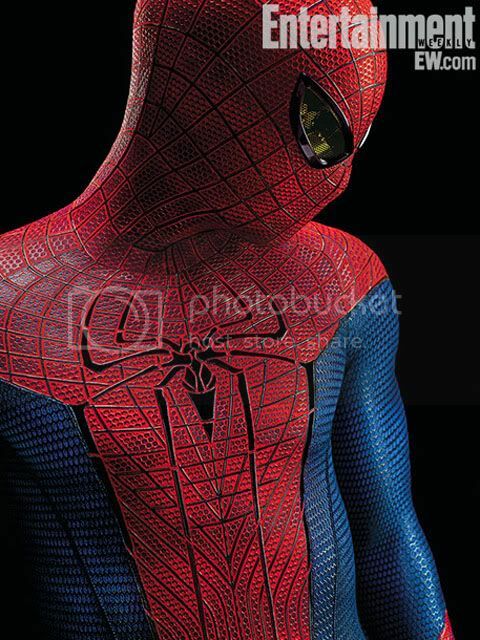 One of the things that has happened in the past couple days is that the teaser trailers for both “The Amazing Spider-Man” and “The Avengers” have leaked online. The Internet Police are on top of it, though, so it’s really hard to find working links to either of them that last longer than five minutes. Luckily, I have nothing better to do, so I found them, and now I’m going to share with you a recap of both! First, let’s start with The Amazing Spider-Man, starring Andrew Garfield and some other people. The teaser I saw was really blurry and shaky, filmed by some guy in a theatre, so the quality was pretty poor, in other words. It starts by showing Peter Parker doing some things and talking to some people. There’s a cute blonde girl that I’m guessing is Gwen Stacy, and she says some stuff, too, but I couldn’t really understand it, since the audio is so poor. About midway through the teaser, it shows Peter get bit by a spider, and then we get the standard “now he’s a geek with muscles” shot, followed by a closeup of the back of his neck, where we can clearly see the spider bite. The overall tone of the teaser suggests the movie is going to be a lot darker than the originals, with Peter being more sulky and depressed before getting bit. I guess they’re taking their cues from the success of “The Dark Knight.” Either way, it’s not really a tone that fits with a Spider-Man origin story, so I’m not sure if it’ll work all that well. At the end of the trailer, we’re given about fifteen seconds or so of Spider-Man running around on a rooftop and swinging between buildings. The twist is that it’s shown from his point-of-view. It’s like a first person shooter video game, only with Spider-Man instead of some dude carrying a gun. At the very end, he’s shown swinging toward a glass building, and we finally see his reflection in the glass before he lands on the wall and poses. The end. I think it looks kind of okay, but I’m skeptical. I mean, what’s the point of retelling Spider-Man’s origin story? We already saw that. And by “we,” I mean every single person living in America. That movie broke all kinds of box office records. Do they really need to rehash that just because this is a reboot? I think not. I hated Transformers 2 so much I blogged about it twice. But I was still determined to see Transformers 3. After seeing it last night, I have to say that it’s probably my favorite of the series. But it was still awful.